Ann is the second of five children born to Mary Ormerod and Samuel Trickett. She was born in 1828 at Cloughfold, Newchurch. There do not seem to be any parish records which show the christening of Mary and Samuel's children, at least I haven't been able to find any yet. 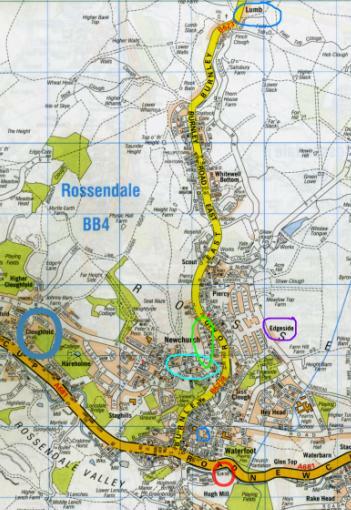 Here is an extract from a modern map of the Waterfoot area. The different places where Ann lived have been highlighted in different colours. Cloughfold is to the left; Lumb (1841) is at the top; Edgeside (1851) is on the right; Bridleway (1861) is encircled with green; Turnpike (1871) is just below Bridleway; Woodleigh Bank (1881) is below Turnpike but above Glenn Terrace (1901). Newchurch Road (1891) is the main A641 and I can only assume number 555 wasn't far from Glenn Terrace. In the first census of 1841, Ann is 13 years old and is living with her father, Samuel, who is 45 and a woollen weaver whilst her mother, Mary is 40 and a woollen spinner. Her older sister, Elizabeth, is 16; both she and Ann are cotton spinners. Her younger sisters Sarah, 12 and Alice, 10, are both piecers. John, her only brother, is 7. They are living at Lumb, Newchurch. Seven years later, at the age of 20, on 2nd October 1848, Ann marries James Pickup at St Nicholas, Newchurch. James is a weaver and lives at Waterside; his father is John Pickup and his occupation is dyer. Ann lives at Edgeside; her father is Samuel and he is a weaver. The witnesses were Lawrence Edmondson and Abraham Holt, at least I think it is Holt as it is difficult to read. In 1851 Ann and James (a power loom weaver) are living at Edgeside with their new son, John Henry, who is one month old. What this census doesn't reveal but what I have found from Lancashire Births, Deaths and Marriages, that it looks like John Henry is the fifth child and that all the previous ones died in infancy. It must have taken some guts to keep producing babies until, at last, one lives beyond infancy. By 1861, Ann had delivered four more children: James Ormerod, Jane and Samuel, who all lived into adulthood but another child, Joseph, also died in infancy, he was born in 1859 and died the same year. The family are now living at Bridleway and James is now a cotton waste dealer. John Henry is 10, James Ormerod 8, Jane 6 and Samuel 3. James Ormerod is clearly named after Ann's mother Mary's family name, i.e. Ormerod. Jane is named after James' mother. We are about to enter the period of the Lancashire Cotton Famine (1862-64). Therefore, it is interesting to note that by the next census, 1871, the family had moved to Turnpike and both James and Ann had now become bread bakers. Ann and James are both aged 43; their eldest, John Henry is 20 and is a book keeper, possibly keeping the books for the family business. James, 18, is a bread baker like his parents; Jane, 16, is a cotton weaver whilst Samuel, 13, is a scholar. 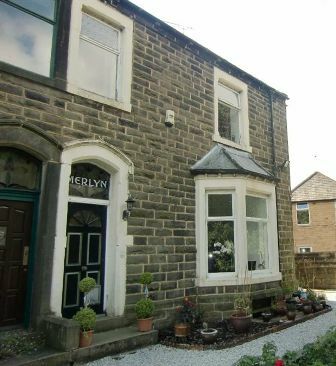 By 1891 the family have moved, yet again, and now live at 555 Newchurch Road. This is the main A641 which goes through Waterfoot from Bacup onto Rawtenstall. Ann and James are now 63 years old and their son, James Ormerod, who is 38 years old and is single, is living with them. The family have now changed business and are all 'grocer tea dealers'. Before the next census, James has died. I'm not sure yet whether he died in 1891, 1895 or 1897 as there were three James Pickups from the same area who died in these years. 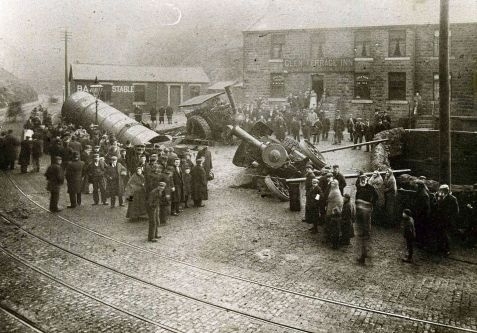 According to the Bacup Times what happened was this: On Tuesday 25th February 1902 at eleven oclock at night a boiler which had been made by boiler makers Tinker Shenton & Co of Hyde was being conveyed by two engines to Sandy Gate Mill, Burnley by way of Rawtenstall and Crawshawbooth. On arriving at the Glen Terrace Inn the driver and foreman decided to put up for the night and continue their journey in the morning.They drove the boiler onto the footpath with the intention of putting the boiler onto the waste ground. But the bridge spanning the river could not hold the full weight of the boiler which was 22 tons. The forepart of the boiler first fell through the hole reaching the riverbed where it stopped whilst the other end pointed at an angle of 45 degrees up into the air. One of the engines also sank into the ground. The boiler had already been laid up at Britannia for 3 weeks prior to its journey due to a breakdown of one of the engines. Ann dies at the age of 75 years in 1903. What an amazing woman: to have survived giving birth to ten children and losing six of them in infancy; to have not only survived, with her husband, James, the Cotton Famine but to have gone from being mill workers to running their own business and setting up their children for life, as all of their children, except James Ormerod, continue in wholesale confectionery business whilst Jane, my great grandmother, married John Edwin Hamer who was also a grocer and whose family, not dissimilar to the Pickup family, had gone from cotton mill workers to grocers. John Henry Pickup continues the new family tradition and becomes a drysalter confectioner and eventually a sweet manufacturer. He marries Elizabeth Willison Howorth in 1877 at Hyndburn Registry Office, they live in Bacup and they have one son, Henry Howorth Pickup who becomes a wholesale confectioner. John Henry dies in 1910. Jane Pickup, my great, grandmother, marries John Edwin Hamer in 1880. Samuel Pickup marries Susan Eleanor Lord in 1878. He becomes a drysalter commercial traveller and then a confectioner/baker and ultimately a wholesale confectioner. 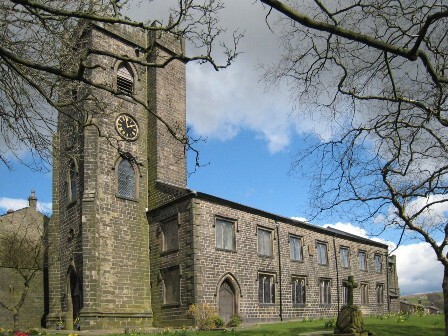 They have three children, Bertha Jane born 1879, who goes on to marry Thomas Stephenson in 1903; Eleanor born 1883 who marries John Kay in 1927; and Emma born 1885 who is still single in 1911 and living with her parents at 603 Bacup Road, Rawtenstall; her job is 'assisting house duty.' Before her sisters married they were both machinists in a slipper factory. James Ormerod Pickup dies at 56 years of age in 1909.